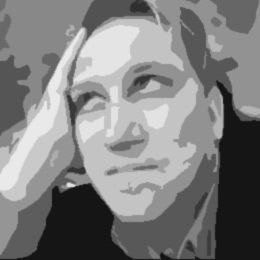 Mark Kostabi was born in Los Angeles on November 27, 1960, to Estonian immigrants Kaljo and Rita Kostabi. 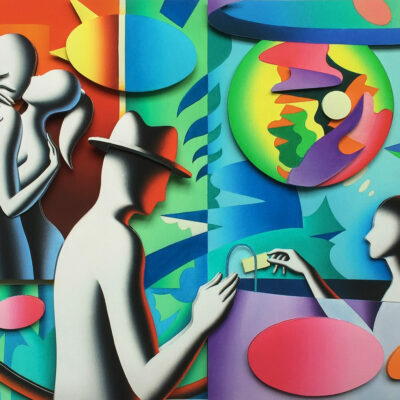 Kalev Mark Kostabi is an American artist and composer.He was raised in Whittier, California and studied drawing and painting at California State University, Fullerton. In 1982 he moved to New York and by 1984 he became a prominent figure of the East Village art scene, winning the “Proliferation Prize” from the East Village Eye for being in more art exhibitions than any other New York artist. Kostabi has designed album covers for Guns ‘N’ Roses (Use Your Illusion) and The Ramones (¡Adios Amigos! ), Seether (Holding Onto Strings Better Left to Fray), Jimmy Scott (Holding Back The Years), Glint (Sound in Silence), RK: Roman Klun (Kingsway), Psychotica (Espina) and numerous products including a Swatchwatch, Alessi vases, Rosenthal espresso cups, Ritzenhoff milk glasses, and a Giro d’Italia pink jersey. 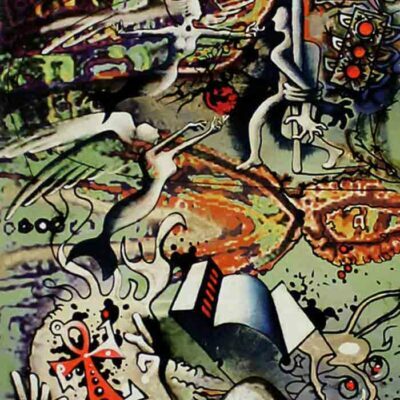 Retrospective exhibitions of Kostabi’s paintings have been held at the Mitsukoshi Museum in Tokyo (1992) and the Art Museum of Estonia in Tallinn (1998). Kostabi’s work is in the permanent collections of the Museum of Modern Art, the Metropolitan Museum of Art, the Guggenheim Museum, the Brooklyn Museum, the National Gallery in Washington D.C., the Museum of Contemporary Art, Los Angeles the Corcoran Gallery of Art, the Yale University Art Gallery the National Gallery of Modern Art in Rome and the Groninger Museum in the Netherlands. His work was published on the cover of the book East Village ’85 published by Pelham Press and his paintings were included prominently in numerous East Village shows in museums and galleries internationally. Matteo Editore published a book on Kostabi titled Mark Kostabi and the East Village scene 1983–1987 written by Baird Jones. During the mid-1980s he developed a media persona by publishing self-interviews which commented on the commodification of contemporary art. In 1986 Kostabi designed the Bloomingdales shopping bag. By 1987 his works were widely exhibited in New York galleries and throughout the United States, in Japan, Germany and Australia. In 1988, inspiring extensive international press coverage, he founded Kostabi World, his large New York studio known for openly employing numerous painting assistants and idea people. Hieronder het werk van Mark Kostabi dat wij in onze collectie hebben.